Dr. Bal is an associate professor of special education at the University of Wisconsin—Madison. His research focuses on the interplay between culture, learning, and behavioral problems through the study of sociohistorical and spatial constructions of deviance and competence across local and global educational contexts. His current research projects aim at developing culturally responsive research methodologies and intervention models in special education. Dr. Bal has developed a Culturally Responsive Positive Behavioral Interventions and Supports (CRPBIS) framework, an equity- oriented systemic transformation model (Bal, 2011; 2012). He is leading this statewide project to implement the CRPBIS Framework in Wisconsin schools. As a researcher and practitioner, Dr. Bal has worked with historically marginalized minority youth experiencing behavioral difficulties and psychological disorders in the United States and Turkey. 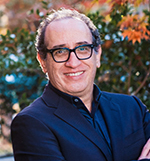 He uses mixed research methodologies to investigate complex issues such as disproportionate representation of nondominant students in special education programs and in exclusionary disciplinary actions, systemic transformation, and cultural adaptation and identity formation in refugee students experiencing academic and behavioral problems. He has published empirical studies and theoretical articles in special education, clinical psychology, and psychiatry journals. 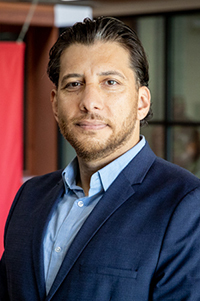 Dr. Alfredo Artiles is professor of culture, society, and education in the College of Liberal Arts and Sciences' School of Social Transformation and professor of education in the Mary Lou Fulton Teachers College at Arizona State University (ASU). Artiles co-directs the Equity Alliance at ASU and is also an affiliated faculty member in the School of Transborder Studies. He has held visiting professorships at Leibniz University (Germany), the University of Göteborgs (Sweden), and Universidad del Valle de Guatemala. Professor Artiles' interdisciplinary scholarship examines the educational consequences of inequities related to the intersection of disability, race, and language. His research publications and professional presentations have reached research, policy, and practitioner audiences in education, psychology, and related disciplines in the United States, Latin America, Africa, and Europe. His work has been published and/or reprinted in English, Spanish, French, Portuguese, and Hungarian. He co-edits the International Multilingual Research Journal (Taylor & Francis)and is co-editor of the book series Disability, Culture, & Equity (Teachers College Press). Artiles served as vice president of the American Educational Research Association (AERA), is an AERA Fellow, a Spencer Foundation/National Academy of Education Postdoctoral Fellow, and a Resident Fellow at the Center for Advanced Study in the Behavioral Sciences (Stanford University). He has been a principal investigator of projects funded by entities such as the U. S. Department of Education, the Spencer Foundation, the University of California's Linguistic Minority Research Institute, Vanderbilt University's Learning Sciences Institute, the University of California's Research Expeditions Program, the University of Virginia's Center for Minority Research in Special Education, and the Motorola Foundation. Dr. Artiles has been an advisor to the Civil Rights Projects at Harvard University and UCLA, the National Academy of Education, the Council for Exceptional Children, the Southern Poverty Law Center, the Joseph P. Kennedy Jr. Foundation, and numerous projects housed at universities in the U.S., Europe, and Latin America. He was named the 2009 Distinguished Alumnus by the University of Virginia's Curry School of Education Foundation. In 2011, Dr. Artiles was appointed to President Obama's Advisory Commission on Educational Excellence for Hispanics. 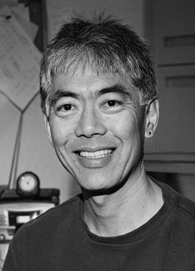 Dr. George Sugai is Professor and Carole J. Neag Endowed Chair in the Neag School of Education at the University of Connecticut. His research and practice interests include school-wide positive behavior support, behavioral disorders, applied behavior analysis, organizational management, and classroom and behavior management, and school discipline. He has been a classroom teacher, program director, personnel preparer, and applied researcher. Currently, he is co-director of the OSEP Center on Positive Behavioral Interventions and Supports and director of the UConn Center on Behavioral Education and Research. Yrjö Engeström is Professor Emeritus of Adult Education and Research Director at University of Helsinki and Professor Emeritus of Communication at University of California, San Diego. He is Director of the Center for Research on Activity, Development and Learning (CRADLE). In his work Engeström applies and develops cultural-historical activity theory, a tradition based on Marxist dialectics, as a framework for the study of transformations in educational settings, work activities and communities. He is widely known for his theory of expansive learning and for the methodology of formative interventions, including the Change Laboratory method. Engeström’s most recent books are From Teams to Knots: Activity-Theoretical Studies of Collaboration and Learning at Work (2008), Learning by Expanding: An Activity-Theoretical Approach to Developmental Research, 2nd Edition (2015), and Studies in Expansive Learning: Learning What Is Not Yet There (2016), all published by Cambridge University Press. Annalisa Sannino holds a Finnish Academy Research Fellowship at the Center for Research on Activity, Development and Learning (CRADLE) in the Faculty of Educational Sciences at University of Helsinki, Finland. She is visiting professor at Rhodes University, South Africa and at University West, Sweden. Her research is primarily focused on developing an activity-centered educational and dialectical theory of transformative agency. Her work demonstrates how transformative agency is enacted and how it can be identified, supported and enhanced within communities, educational settings and work activities by means of formative interventions. Gloria Ladson-Billings is the Kellner Family Chair in Urban Education in the Department of Curriculum & Instruction and Faculty Affiliate in the Departments of Educational Policy Studies, Educational Leadership and Policy Analysis, and Afro American Studies at the University of Wisconsin-Madison. Ladson-Billings was the 2005-2006 president of the American Educational Research Association (AERA). Author and editor of 8 books and over 100 journal articles and book chapters, Ladson-Billings is winner of numerous scholarly awards and honorary degrees. David is a Liberal Arts Transfer sophomore at Madison College hoping to transfer to UW-Madison. His dream is to study Law and use the knowledge and skills to promote the fair, equal and lawful treatment of all people. He is a strong advocate for more direct influence on the decisions that affect the financial, academic and overall every day lives of students here at Madison College. He is the Vice President of Legislative Affairs of the Student Government for the 2014 Fall academic year at Madison College. Helping people is one of his passions; that's why representing students is his greatest honor since he is student himself. He also represent 400,000 students at the state-level Wisconsin Student Government, where he is the governor for Madison College. He helps to advocate and lobby the Wisconsin legislature for more funding for technical colleges and more financial aid for students. Cheryl has had the pleasure to serve in the field of American Indian education for over 25 years. She also has had the privilege to work for her tribe, the Ho-Chunk nation, during this time. Throughout these years she found herself concerned with persistent, evolving, and enduring, equity issues that have continued to impact her students. She found herself wondering, how do educational constructs such as learning, disability, and giftedness, interact with demographic markers like race, socioeconomic status, gender, and urbanicity? Following a lengthy hiatus from academia, I returned, and continue to pursue these questions during the course of her studies. She also has continued her study of cultural responsivity. Kemal Afacan is a Ph.D. candidate in the Department of Rehabilitation Psychology and Special Education at the University of Wisconsin-Madison. He received his bachelor’s with an emphasis on individuals with intellectual disabilities at the Karadeniz Technical University in Turkey. After completing his undergraduate studies, he worked as a special education teacher in Ankara, Turkey. Kemal holds a master’s degree in Special Education from the University of Wisconsin-Madison. His research interests include effective reading interventions for students with intellectual disabilities, inclusive and culturally responsive school settings and practices, and a wide range of educational settings including traditional and alternative schools. Halil Ibrahim Cakir is a Ph.D. student in the Department of Rehabilitation Psychology and Special Education at the University of Wisconsin, Madison. He received his undergraduate degree at Karadeniz Technical University in Turkey with a major in Hard of Hearing and Deaf Studies. After finishing his studies, he worked as a special education specialist in a private school for 2 years in Turkey and focuses on individuals with special needs. He completed his master program at University of Wisconsin-Madison. His research interests include learning, school-wide interventions, school discipline and multicultural issues in special education. Larry Love is a Ph.D student in the Department of Rehabilitation Psychology and Special Education at the University of Wisconsin-Madison. He holds a bachelor's in rehabilitation psychology and a master's degree in special education from the University of Wisconsin-Madison. After completing his studies he worked as special education teacher and positive behavior intervention specialist in the Madison Metropolitan School District. His research interests include examining the lived experiences of black and brown youth in special education, the over-representation of minority students in special education and school discipline cases, and tiered systems of support (e.g. Positive Behavior Interventions and Supports). Dian Mawene is a Ph.D. student in the Department of Rehabilitation Psychology and Special Education at the University of Wisconsin-Madison. She earned her bachelor of education from Satya Wacana Christian University, Indonesia. In 2011, Dian received Fulbright scholarship as Fulbright Foreign Language Teaching Assistant at the University of Wisconsin-Madison where she began to grow interests in the area of special education. In summer 2015, she completed her master’s program at the University of Wisconsin-Madison. Her research interests include multicultural education especially for students from the minority background, social/spatial justice, family/community involvement in special education and Positive Behavioral Interventions and Supports. Elizabeth is enrolled in the masters of special education and teacher certification program at UW-Madison. She also has an undergraduate degree and board certification in music therapy from the University of Wisconsin-Eau Claire and continues to practice on a part-time basis. Her research interests include over-representation of minority students in special education and culturally responsive music education practices. Fabiane Bravo is a Ph.D student in the Department of Rehabilitation Psychology and Special Education. She holds a Bachelor’s degree in English Language and Literatures from Universidade Estadual do Rio de Janeiro. After working as an English teacher at bilingual schools, her interest in the field of education intensified. Fabiane received a scholarship from the Organization of American States to pursue a Master’s degree in Education at York University in Toronto, Canada. After completing her Master’s in Education with focus in culture and identity, she returned to Rio de Janeiro where she works at a Brazilian public school and at Instituto Benjamin Constant, a National Institute of Education for the blind. This experience sparked concerns related to special education and equity. Her research interests include over-representation of minority students in special education, culturally responsive learning and teaching and the development of partnership between schools and families. Dosun Ko is a Ph.D. student in the Department of Rehabilitation Psychology and Special Education at the University of Wisconsin, Madison. He received his bachelor degree in elementary education and master degree in curriculum studies from Seoul National University of Education. After completing his programs, he worked as an elementary school teacher in South Korean public schools. His research interests include re-mediation of learning ecology for students from non-dominant groups through the cultural-historical activity theory-inspired social design interventions. Linda Orie is a Master's student in the Department of Curriculum and Instruction at UW-Madison. Raised by educator parents, she earned a Bachelor of Arts degree in Psychology from Stanford University and decided to dedicate her career to advancing the education of minority youth, especially Native American youth. Linda earned Wisconsin teacher licensure and a second Bachelor's degree from UW-Oshkosh and taught Science to middle school students on the Menominee Reservation in Northeast Wisconsin for 5.5 years, during which time she was recruited to serve as Project Assistant for the POSOH Project, creating culturally relevant curriculum for middle school youth on and near the Menominee Reservation. At UW, Linda is currently writing a place-based, culturally relevant curriculum unit about Aztalan, an important ancient Native American site in Southern Wisconsin. After completing the Master's Degree, Linda plans to attain a Ph.D. through the Department of Educational Leadership and Policy Analysis at UW-Madison.